The sacred paintings of the Virgin Mary are still on the walls. The small statues are still standing and the image of Jesus Christ on the cross is left intact. 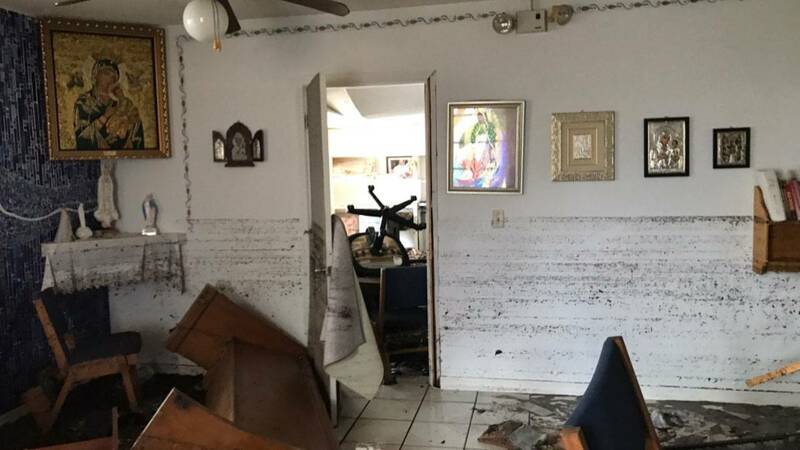 Still, Hurricane Irma managed to damage furniture and cause disarray at the Catholic church in Big Pine Key, about 10 miles east of where the Category 4 storm made landfall Sunday. Benches in the public seating area at St. Peter the Fisherman Church, 31300 Overseas Highway at mile marker 31.5, were turned upside down. 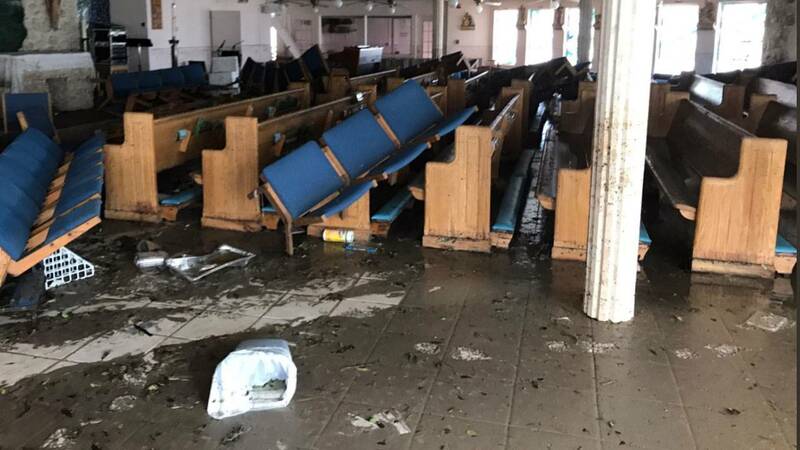 Hurricane Irma's storm surge damaged St. Peter Catholic Church. The church also runs an educational program in its multi-building complex and was the center of the recovery effort after Hurricane Georges' devastation in 1998. Inside the church, there were markings on the walls showing how high the storm surge was. Father Jesus Medina reported the damage to Archbishop Thomas Wenski. "We will rebuild," Wenski tweeted Saturday. The San Pablo Church in Marathon and the Basilica of St. Mary Star of the Sea in Key West didn't sustain structural damage. Father John Backer said even the candles in the Our Lady of Lourdes grotto, which was built in 1922, remained unscathed. There was some debris around the San Pedro Catholic Church in Tavernier and the St. Justin Martyr Church in Key Largo. Authorities were allowing evacuees to return to the Lower Keys Sunday, after reopening Marathon to residents and business owners Saturday. 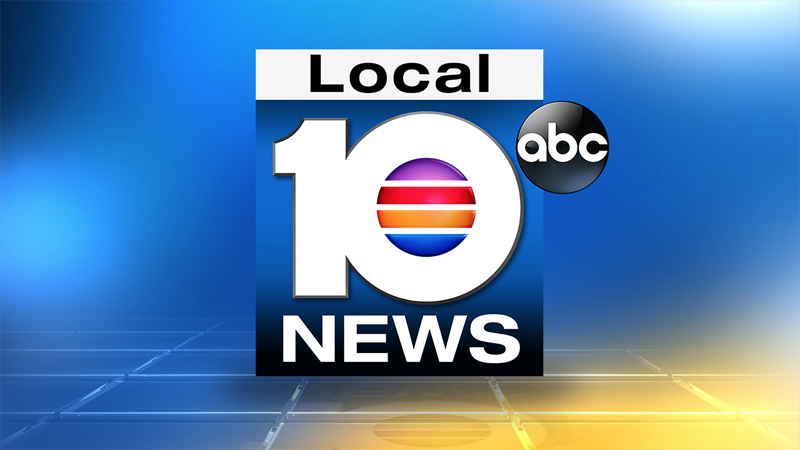 The Archdiocese of Miami was collecting donations to help the victims of Hurrciane Irma via the Catholic Charities website and their development site.